Ashtons Legal are a leading East Anglian law firm, offering services to both individuals and businesses. 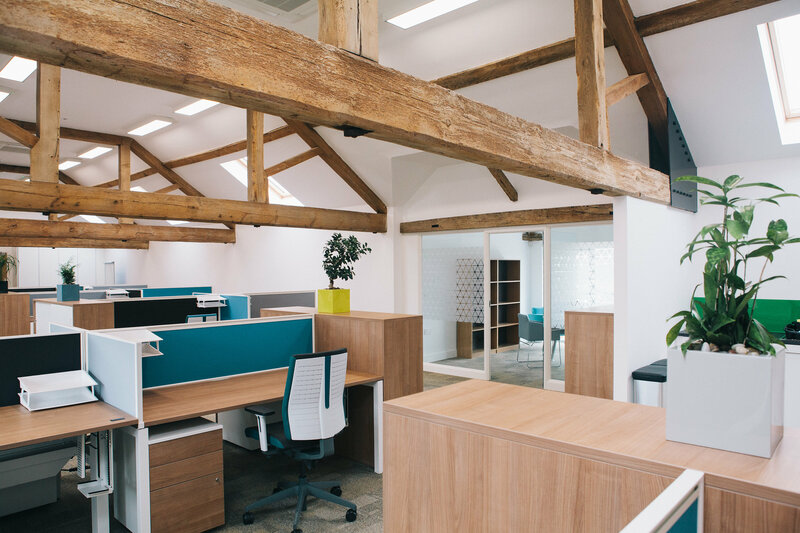 As well as operating from offices in Cambridge, Norwich, Ipswich and Thetford, the firm recently acquired new premises close to the historic town of Bury St Edmunds. 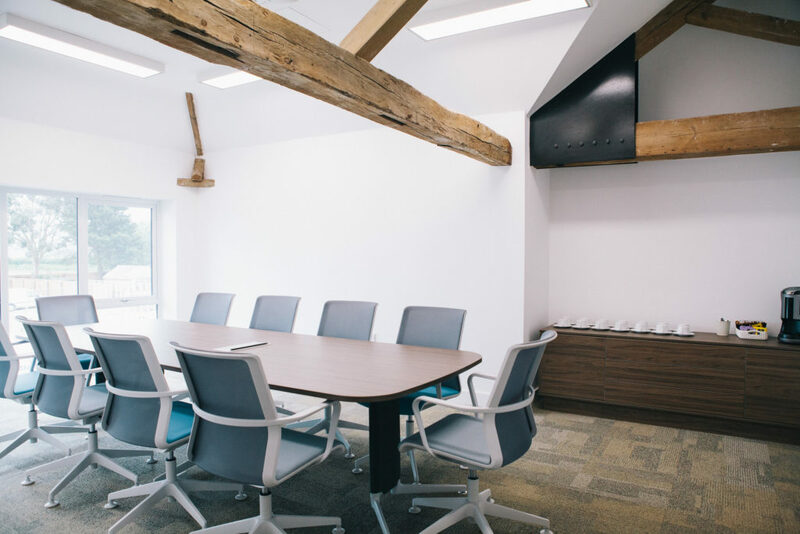 Ashtons Legal contacted us to design this new purpose-built office, requesting an enlivening and comfortable environment for staff and clients to enjoy. 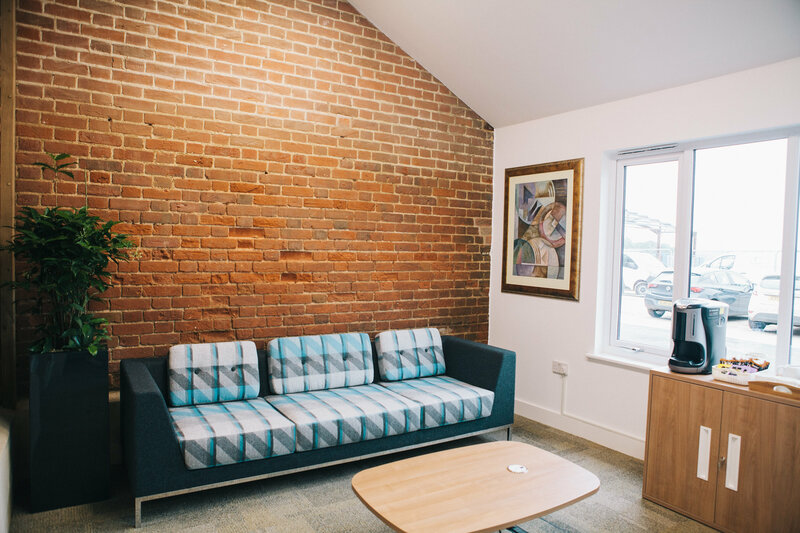 The space itself is a wooden framed barn conversion situated in Fornham Business Court, a modern development surrounded by miles of picturesque countryside. 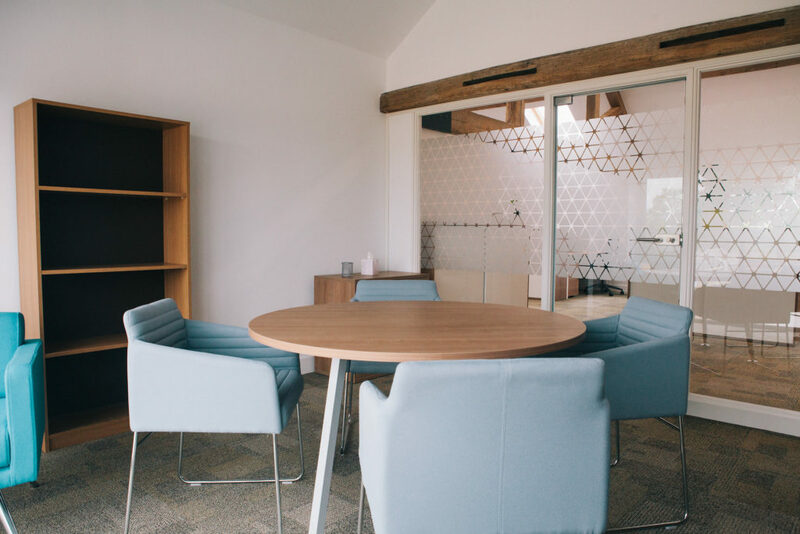 We strived to create an office that legal professionals and their clients would look forward to spending time in, utilising high-end furniture pieces and large glass sections to promote a sense of calm. 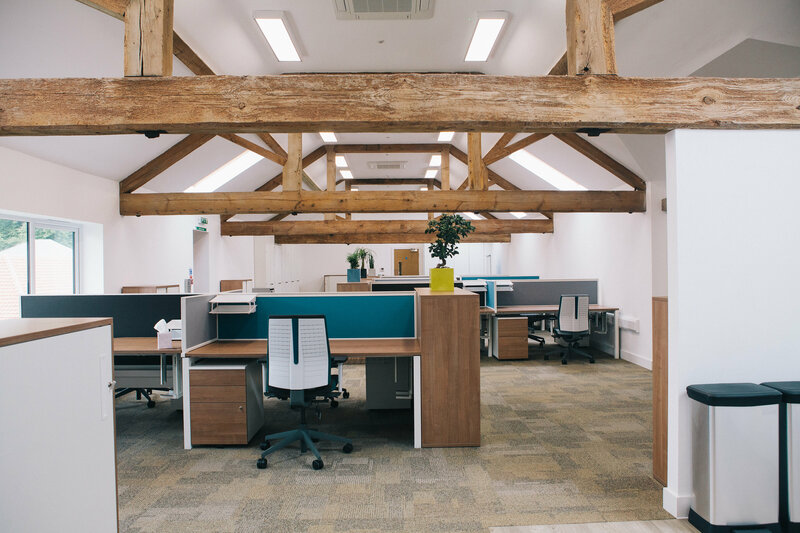 Creating a bright contrast to the exposed beams, we introduced an inviting colour palette that nicely completed the new, contemporary style of the office. At the launch of the new office, Leonard Newcombe, the Head of Facilities at Ashtons Legal, described how “The project to convert this old barn into plush office space was a long one, but totally worth it. 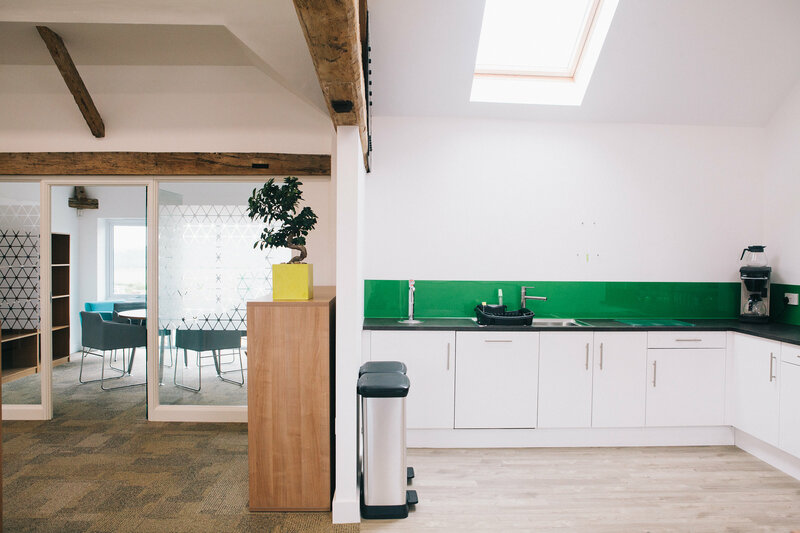 We couldn’t have achieved this without the help of Bluespace, who helped not only design and fit out this new office but with our recent Cambridge office refit too. Our staff are happy, the surroundings are outstanding, and our clients are impressed”.